Austin, Texas and Romsey, UK (November 1, 2017) — Carnegie Technologies, a leading wireless connectivity solutions provider, announced today its acquisition of the assets of SmartSwitch from Chemring Technology Solutions Ltd, a subsidiary of Chemring Group PLC (LSE: CHG), which pioneered a comprehensive connection management solution for MNOs and MSOs for their Wi-Fi HetNets. The strategic acquisition of the SmartSwitch assets brings 3GPP ANDSF and Hot Spot 2.0 compliant connection management technology that Carnegie will integrate into its Network Convergence Platform. The acquisition also includes a supporting patent portfolio as well as extensive experience and knowledge that complements that of Carnegie. The unique approach taken by SmartSwitch targets a consistent user experience across all devices while in the home, at work, on the move and while out and about. The innovation required to deliver such a tailored experience, in all real-world Wi-Fi conditions, has repeatedly demonstrated the value service providers can extract from their Wi-Fi assets today. Combining the novel and proven SmartSwitch technology with Carnegie’s Network Convergence Platform (NCP), which includes Bandwidth Aggregation, True Gapless Handover, Connection Management and Network Quality Analytics, creates the optimal solution for the future of Wi-Fi integration to deliver the perfect user experience. The market has shown readiness for bandwidth aggregation technologies such as Multipath TCP (MPTCP). The combined capability of SmartSwitch and the patented bandwidth aggregation capabilities of the Network Convergence Platform goes directly for the maximum user experience, offering premium aggregation of data links while ensuring the best Wi-Fi has been selected in order to maximize the potential for Wi-Fi usage, which in turn eliminates congestion and cost on the cellular networks. Carnegie Technologies was founded in 2010 to develop mobility products and services that connect people, things and networks throughout the world. 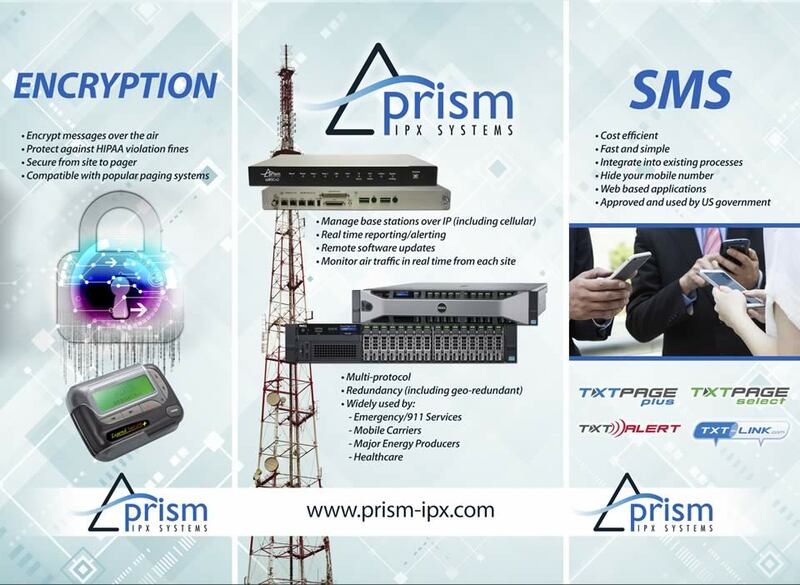 The Company delivers ground- breaking connectivity and convergence solutions for mobile operators, satellite communications, Internet of Things, and connected vehicles that fundamentally transform the way we think about communications, public and personal safety and economic efficiencies. The Company has offices and product development on four continents, including in its Austin, Texas headquarters; Kitchener, Ontario; Belgrade, Serbia; Sydney, Australia and now the United Kingdom. More information can be found at www.CarnegieTechnologies.com. Chemring Technology Solutions, part of Chemring Group PLC, is a global provider of advanced Electronic Warfare (EW), Explosive Ordnance Disposal (EOD), and Communication Information Systems (CIS). Trusted by governments, national security and commercial customers to provide military and commercial advantage, its products are relied upon by the best equipped armed forces in the world, including the UK MOD and NATO allies. Now on to more news and views. 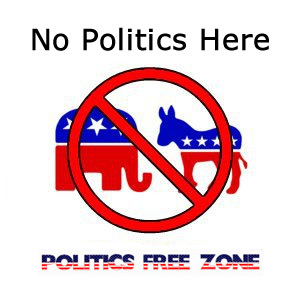 This doesn't mean that nothing is ever published here that mentions a US political party—it just means that the editorial policy of this newsletter is to remain neutral on all political issues. We don't take sides. A new issue of the Wireless Messaging Newsletter is posted on the web each week. A notification goes out by e-mail to subscribers on most Fridays around noon central US time. The notification message has a link to the actual newsletter on the web. That way it doesn’t fill up your incoming e-mail account. There is no charge for subscription and there are no membership restrictions. Readers are a very select group of wireless industry professionals, and include the senior managers of many of the world’s major Paging and Wireless Messaging companies. There is an even mix of operations managers, marketing people, and engineers — so I try to include items of interest to all three groups. It’s all about staying up-to-date with business trends and technology. I regularly get readers’ comments, so this newsletter has become a community forum for the Paging, and Wireless Messaging communities. You are welcome to contribute your ideas and opinions. Unless otherwise requested, all correspondence addressed to me is subject to publication in the newsletter and on my web site. I am very careful to protect the anonymity of those who request it. I spend the whole week searching the Internet for news that I think may be of interest to you — so you won’t have to. This newsletter is an aggregator — a service that aggregates news from other news sources. You can help our community by sharing any interesting news that you find. Editorial Opinion pieces present only the opinions of the author. They do not necessarily reflect the views of any of advertisers or supporters. This newsletter is independent of any trade association. I don't intend to hurt anyone's feelings, but I do freely express my opinions. If you would like to subscribe to the newsletter just fill in the blanks in the form above, and then click on the “Subscribe” button. There is no charge for subscription and there are no membership restrictions. It’s all about staying up-to-date with business trends and technology. The Board of Advisor members are people with whom I have developed a special rapport, and have met personally. They are not obligated to support the newsletter in any way, except with advice, and maybe an occasional letter to the editor. Click on the image above for more info about advertising. Is your emergency communications plan ready? Hurricanes Harvey and Irma offered manifestations of what can happen in the absence of a sound emergency preparedness plan: In Texas during and after Harvey, the staff of one healthcare facility fled while leaving distressed patients behind. During Irma in Florida, eight patients at a nursing home that lost power died — despite the fact that a full-service hospital was a few dozen feet away. As McKnight's coverage of comments by The Centers for Medicare & Medicaid Services principal deputy administrator for operations at a recent hearing indicated, “several of the failings” that led to the nursing home resident deaths could be traced to inadequate training on the emergency preparedness plan, or following proper emergency protocol. For nursing homes and other institutional long-term care facilities, severe weather events such as the devastating hurricanes as well as the more recent California wildfires test even the most robust emergency communications plans. And while long-term healthcare providers have dedicated significant resources to preparing for external emergency events, CMS was less confident the healthcare industry was prepared if a disaster or emergency happened directly to them. Driven by that concern, CMS put the Emergency Preparedness Requirements for Medicare and Medicaid Participating Providers and Suppliers rule into effect November 16th, 2016. Affected healthcare providers and suppliers were given one year to comply and implement all regulations. The CMS rule, enforceable as of November 15th, 2017(a week from today), establishes a consistent framework that mandates incorporation of best practices and lessons learned in emergency preparedness. Establish easily activated communication channels for reaching others both on and off-site. During widespread emergencies, communication becomes a serious challenge very quickly. Cellular signals, email servers, and traditional phone lines can fail. However, it's critical that your communication plan includes processes that would allow for communication with staff, care providers, families, and others who may or may not have alternative forms of technology such as Ham and satellite systems. This is why it is critical to expand beyond the traditional means of sharing information among both your internal and external constituents. Your Emergency Mass Notification System (EMNS) platform should be multimodal, meaning that all messages can be sent in multiple ways through the platform. It should also support one message being sent out as a phone call (to cell phones or landlines), SMS text message, e-mail message, desktop alert, app notification, RSS feed, and pager. Follow ‘Chain of Command’ protocol for the order in which alerts are sent. It's instinctive to know that local emergency response teams should be contacted and summoned before patient's families are notified of a situation, but it’s much harder to execute, especially in urgent, chaotic situations. The best way to overcome it? Plan in advance and automate the process. The contact information for those you need to reach in a crisis (internal and external) should be kept securely within your mass notification system account, or should be able to be linked to an existing database for continuous updating. This provides the ability to create groups of contacts either in advance or on-the-fly (by using filters). Your contingency plan should establish backup resources. Plans should be aligned to your current vulnerability threat risk assessment. Backup resources should be established across everything from power to medical supplies to food and water reserves. Additionally, patient care must be well coordinated across healthcare providers, and with state and local public health departments and emergency systems. EMNS platforms can allow for your messages and contacts can be hosted on secure servers which are redundant and backed up regularly, ensuring that your data is safe and secure. Other things to consider include the ability to send alerts to all devices simultaneously; receive responses back and track results and mobilize emergency personnel or other staff instantly to respond to urgent or unexpected situations. Maintain coordination with other healthcare facilities. The CMS has maintained the critical importance of coordination with other healthcare facilities and public health officials. Coordination among healthcare facilities in a large-scale crisis is of utmost concern for patient safety and continuance of care. Your healthcare alliance, whether it is formal or informal, can communicate swiftly and easily through your mass notification service. Text messages can be used for urgent messages, phone calls for urgent messages that include instructions, and email for longer messages and sharing documents (attachments). All of this can be done through the service, all at one time. Break down the facility and staff into manageable groups. Identify locations and evacuation points. See OSHA's workbook on accountability in a crisis for additional tips and details. A sound emergency communications plan helps not only ensure compliance with the CMS rule, but also protects your people and property. 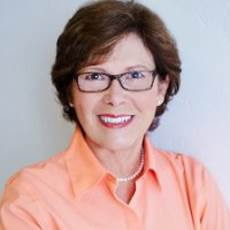 Ann Pickren is president of Enterprise Solutions at OnSolve. 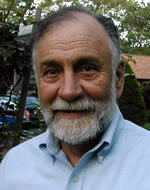 Jim Satterfield is the CEO and co-founder at Firestorm. Please see our web site for other products including Internet Messaging Gateways, Unified Messaging Servers, test equipment, and Paging Terminals. Here is an English PDF edit of this paper formatted with page breaks and suitable for printing. Volunteers needed for translations into other languages. Easy Solutions provides cost effective computer and wireless solutions at affordable prices. We can help in most any situation with your communications systems. We have many years of experience and a vast network of resources to support the industry, your system and an ever changing completive landscape. We treat our customers like family. We don’t just fix problems . . . We recommend and implement better cost-effective solutions. We are not just another vendor . . . We are a part of your team. All the advantages of high priced full time employment without the cost. We are not in the Technical Services business . . . We are in the Customer Satisfaction business. Making systems More Reliable and MORE PROFITABLE for over 30 years. 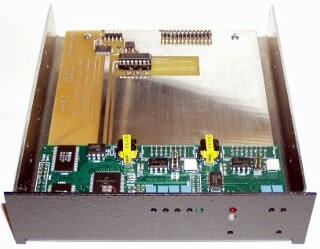 Please see our web site for exciting solutions designed specifically for the Wireless Industry. We also maintain a diagnostic lab and provide important repair and replacement parts services for Motorola and Glenayre equipment. Call or e-mail us for more information. Donate to have your company's logo added. For a bit of nostalgia, here are some reprints from a long time ago. Can You Help The Newsletter? You can help support The Wireless Messaging News by clicking on the PayPal Donate button above. It is not necessary to be a member of PayPal to use this service. Newspapers generally cost 75¢ $1.50 a copy and they hardly ever mention paging or wireless messaging, unless in a negative way. If you receive some benefit from this publication maybe you would like to help support it financially? A donation of $50.00 would certainly help cover a one-year period. If you are wiling and able, please click on the PayPal Donate button above. Still The Most Reliable Protocol For Wireless Messaging! If you are reading this, your potential customers are reading it as well. Please click here to find out about our advertising options. MARATHON CO. (WAOW) — Problems continue for a Marathon County 911 paging system. We first told you about the paging problem for the Stratford and McMillan fire departments several weeks ago and it still hasn't been fixed. For more than six months the volunteer fire departments have either never received a page from the dispatch center or it's been difficult to hear over the pager. That means that when someone calls 911, those departments don't always know who needs help, where or that someone needs help at all. Tait, the company that oversees the system said they've had engineers out in those areas for the last few weeks accessing the problem. "One issue that was solved if you recall the buzz noise, the problem was actually solved a couple of weeks ago, it happened to come back in the last few days," said Tait President of the Americas Region Bruce Mazza. Tait said they'll continue to have engineers out there for the coming weeks and plan on having a full report of the findings by the end of November. "We're doing everything we can with a high level of support to move toward a solution," said Mazza. 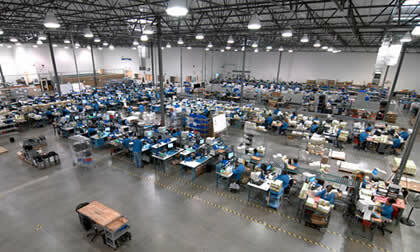 PSSI is the industry leader in reverse logistics, our services include depot repair, product returns management, RMA and RTV management, product audit, test, refurbishment, re-kitting and value recovery. How many times have you crossed the street, only to bump into someone who has their face buried in their cellphone? It won’t happen much longer if two of Chicago’s most powerful aldermen have anything to say about it. Finance Committee Chairman Edward Burke (14th) and Transportation Committee Chairman Anthony Beale (9th) want to discourage “distracted walking” behavior by slapping those pedestrians with hefty fines. A first offense would cost you $90. The fine for repeated offenses would rise to a whopping $500. During the first six months of this year alone, 27 pedestrians were killed on the streets of Chicago. There were 28 pedestrian deaths during the same period a year ago. Burke brushed past reporters attempting to ask questions about the crackdown on his way out of Wednesday’s City Council meeting. 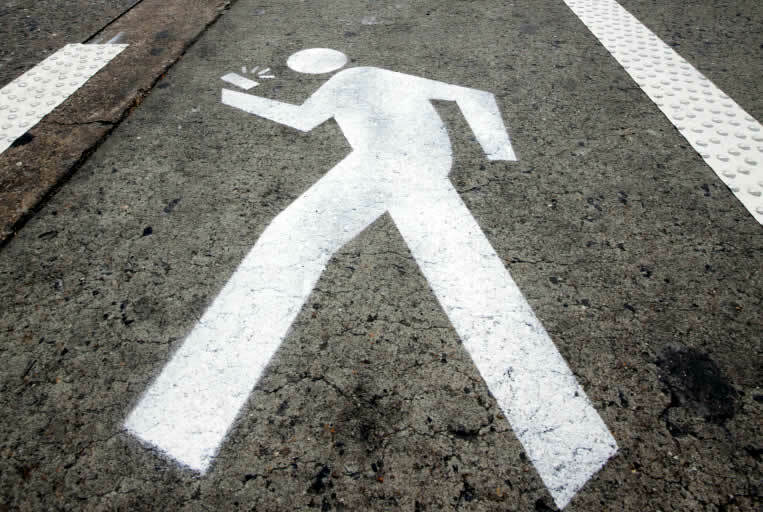 In a press release, he pointed to the World Health Organization’s claim that people who text and walk are “nearly four times more likely to engage in at least one dangerous action” including jaywalking and neglecting to look both ways. Distracted pedestrians also take “18 percent more time to cross the street” than focused pedestrians, Burke said. “The goal … is to reduce pedestrian deaths and injuries, especially at crosswalks,” Burke was quoted as saying in a press release. Beale added that City Council passage of the ordinance and enforcement of it by police would “increase safety by eliminating distractions for pedestrians at intersections and elsewhere” across the city. According to Burke, Chicago Police officers struggling to control homicides and shootings would be charged with issuing distracted walking tickets. But when police officers were given similar power to ticket motorists for talking on their cellphones while driving, they didn’t do it, blaming complications of a new state law. Maybe that’s why Mayor Rahm Emanuel is withholding judgment, even as he acknowledged that distracted walking is an epidemic. “Everybody does it and everybody is irritated when somebody else does it,” the mayor said. Paging system designs in the United States typically use a voice radio-style infrastructure. These systems are primarily designed for outdoor mobile coverage with modest indoor coverage. Before Narrowbanding, coverage wasn’t good, but what they have now is not acceptable! The high power, high tower approach also makes the system vulnerable. If one base station fails, a large area loses their paging service immediately! Almost every technology went from analog to digital except fire paging. So it’s time to think about digital paging! The Disaster-Proven Paging Solution (DiCal) from Swissphone offers improved coverage, higher reliability and flexibility beyond anything that traditional analog or digital paging systems can provide. Swissphone is the No. 1 supplier for digital paging solutions worldwide. The Swiss company has built paging networks for public safety organizations all over the world. 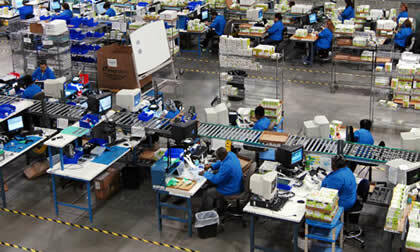 Swissphone has more than 1 million pagers in the field running for years and years due to their renowned high quality. 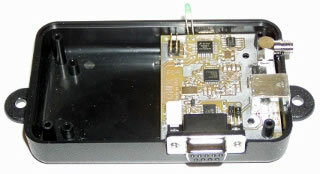 DiCal is the digital paging system developed and manufactured by Swissphone. It is designed to meet the specific needs of public safety organizations. Fire and EMS rely on these types of networks to improve incident response time. DiCal systems are designed and engineered to provide maximum indoor paging coverage across an entire county. In a disaster situation, when one or several connections in a simulcast solution are disrupted or interrupted, the radio network automatically switches to fall back operating mode. Full functionality is preserved at all times. This new system is the next level of what we know as “Simulcast Paging” here in the U.S.
Swissphone offers high-quality pagers, very robust and waterproof. Swissphone offers the best sensitivity in the industry, and battery autonomy of up to three months. 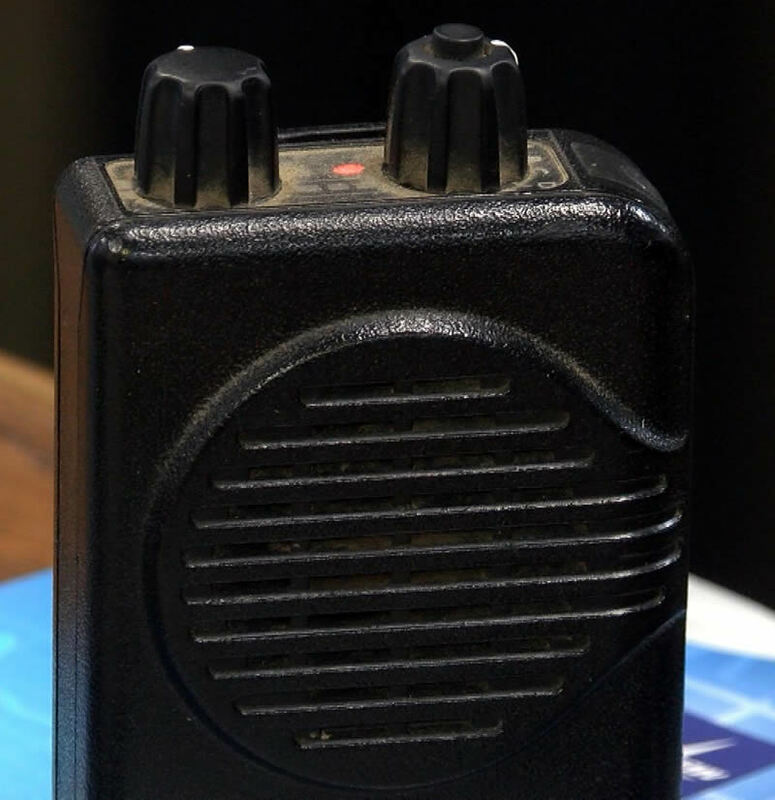 First responder may choose between a smart s.QUAD pager, which is able to connect with a smartphone and the Hurricane DUO pager, the only digital pager who offers text-to-voice functionality. 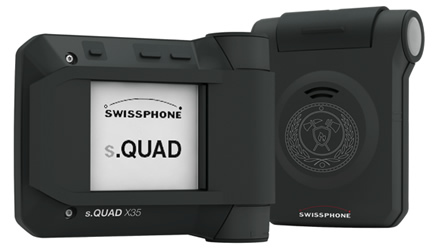 Bluetooth technology makes it possible to connect the s.QUAD with a compatible smartphone, and ultimately with various s.ONE software solutions from Swissphone. Thanks to Bluetooth pairing, the s.QUAD combines the reliability of an independent paging system with the benefits of commercial cellular network. Dispatched team members can respond back to the call, directly from the pager. The alert message is sent to the pager via paging and cellular at the same time. This hybrid solution makes the alert faster and more secure. Paging ensures alerting even if the commercial network fails or is overloaded. It’s much faster to send individual and stacked pages digitally than with analog voice. If you want better indoor coverage, you put sites closer together at lower heights. A self-healing system that also remains reliable in various disaster situations. Place base station where you need them, without the usage of an expensive backhaul network. Protect victim confidentiality and prevent unauthorized use of public safety communications, with integrated encryption service. Reliable message reception, thanks to the best sensitivity in the industry. Ruggedized and waterproof, IP67 and 6 1/2-feet drop test-certified products. Battery autonomy of up to three months, with a standard AA battery. 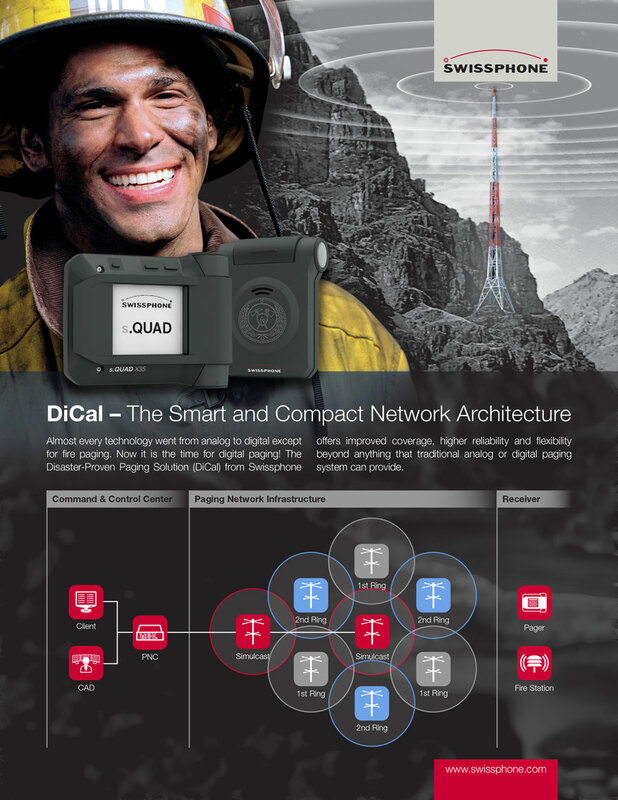 Bluetooth enables the new s.QUAD pager to respond back to the dispatch center or fire chief. Two-way CAD interfaces will make dispatching much easier. The new s.ONE solution enables the dispatcher or fire chiefs to view the availability of relief forces. A graphical screen shows how many of the dispatched team members have responded to the call. Swissphone provides a proven solution at an affordable cost. Do you want to learn more? Visit: www.swissphone.com or call 800-596-1914. I cover crime, privacy and security in digital and physical forms. Apple extended an olive branch to the feds this week, in the hopes the company could assist with the investigation into the man who shot and murdered at least 26 in a rural Baptist church of Sutherland Springs, Texas, on Sunday. But the FBI appears to be blanking the tech titan. 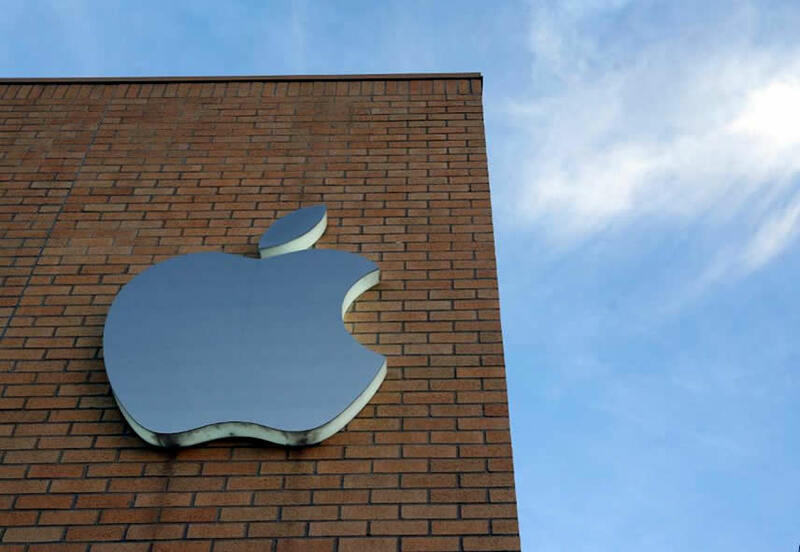 The Cupertino company claimed that shortly after it heard of special agent Christopher Combs's remarks that his team was struggling to get data from an unnamed phone, Apple was in touch with the FBI offering assistance via liaison officers. Not long after, the feds told Apple it was an iPhone, but didn't name the model, nor did they accept the company's offer, a source with knowledge of the investigation told Forbes. Just what did Apple offer? One the one hand, company promised to expedite any legal request that came in, according to a statement from Apple. And if the offer of technical assistance had been accepted, Apple would have given investigators a check list of techniques to try out to get information from the device, said the source, who asked to remain anonymous as they weren't permitted to speak on the record. Those techniques could have included applying the killer's fingerprints to the device if it had Touch ID enabled (as long as it was within 48 hours of the iPhone last being unlocked). As Forbes has previously detailed, the FBI has repeatedly tried that path into suspects' phones with little to zero success. Numerous search warrants note the 48-hour limit too, indicating the feds are well versed in how TouchID works. Apple could also have recommended checking the suspect's PC, in case an iTunes backup of the iPhone's data was available. Or they might have found the shooter's iCloud username and put in a request for a backup there, going through the typical use case. At the time of publication, though, there has been no legal request for data nor any further response on the offer of assistance, according to the source. The FBI said it had no further comment on the matter. Apple's full statement read: "We were shocked and saddened by the violence in Texas last Sunday, and we join the world in grieving for the families and community that lost so many loved ones. "Our team immediately reached out to the FBI after learning from their press conference on Tuesday that investigators were trying to access a mobile phone. We offered assistance and said we would expedite our response to any legal process they send us. "We work with law enforcement every day. We offer training to thousands of agents so they understand our devices and how they can quickly request information from Apple." This is something of a turnaround for a company that was doing battle with the FBI for much of last year over the latter's request for access to the San Bernardino shooter's iPhone 5C. Indeed, it appears Apple's offer of expedition and its proactive approach were an attempt to avoid another protracted and costly legal battle with the feds after the San Bernardino debacle, in which investigators were criticized for failing to take swifter action on retrieving information from the terrorist's device. But with the state of the Texas investigation, another court battle could be imminent. Either that, or the feds will rely on hackers similar to those who were paid more than $1 million to unlock the San Bernadino phone. In that case, all the FBI retrieved little of use to its investigation. Even if they do make it into the Texas killer's iPhone, it may reveal little of his motives or details on how and why he carried out his appalling crimes. We can supply alphanumeric display, numeric display, and voice pagers. We also offer NEW and refurbished Alphamate 250s, refurbished Alphamate IIs, the original Alphamate refurbished, and new and refurbished pagers, pager repairs, pager parts, and accessories. We are FULL SERVICE in Paging! Outstanding service is our goal. E-mail Phil Leavitt ( pcleavitt@leavittcom.com ) for pricing and delivery information, or for a list of other available paging and two-way related equipment. It’s easy for us non-veterans to view all of those who have served through one lens filtered by patriotism, gratitude, awe, respect and pride. Not that we shouldn’t, as all of those things are rightly earned and due them as they transition into a non-military life. But we do them a disservice if we stop there. As with any well-defined group, and the military is particularly good at defining things, the label can override the individual beneath it. Every veteran has been changed by their service but in different ways. By understanding the individual and their experience, a prospective employer can help make what can be a tough transition from military to civilian life easier. A Pew Research study shows 43 percent of all veterans say they had a “very easy” time adjusting to their post-military lives, and 29 percent say re-entry was “somewhat easy.” Different factors contributed to making it easier or harder to transition: level of education, exposure to combat (and knowing someone who was killed in combat jumps that percentage considerably), rank, clarity of their mission, marriage prior to service (curiously, the Pew study found being married while serving reduces the chances of an easy re-entry from 63 percent to 48 percent). But an additional 21 percent, according to Pew’s survey of 1,853 veterans, say they had a “somewhat difficult” time, and six percent had major problems integrating back into civilian life. While more than seven-in-ten veterans (72 percent) reported they had an easy time adjusting to civilian life, 27 percent said re-entry was difficult for them—a proportion that swells to 44 percent among veterans who served in the ten years since the September 11, 2001, terrorist attacks. It is fitting we dedicate this issue to those who have put their lives on the line to protect us. For those of us who haven’t served, we can take some pride in our industry’s record in employing vets, seeing them as the individuals they are and welcoming them as a dynamic addition to the tower industry. A few industry and military vets talked to Inside Towers about their experiences. Chuck Tidwell got out in ’88. Having had some experience in the tower industry before his service made the transition a no-brainer. “I went right back to it, Brother,” Tidwell said. “No problem, in fact they were fighting with money over me.” Tidwell cites his gung-ho attitude and discipline as all working in his favor following his years in service and “the skills in radio communications, and other related electronic skills I learned didn't hurt either,” he said. “The military taught me restraint, respect for myself and others, plus to never give up so I went back to tower work,” Mckay said. “I implemented those values into my crew(s) and the company aspect itself, creating a very tight knit crew or crews that took pride in their work and got it done no matter the circumstances….No whining, no running off in the middle of the night, leaving with per-diem and so many other things that seem to plague this industry. Back then it really was this is my family and we took care of our own,” he said. 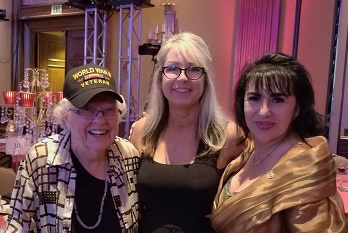 Kathy Gill, CEO of Tower Safety and Instruction has trained a variety of vets but was particularly proud of two former Marines: WWII Marine, Dr. Vivian Wood and the first woman Marine to complete SERE (Survival, Evasion, Resistance, and Escape) school, Patricia Hernandez. Dr. Wood, 95 years old, a WWII marine veteran and PhD told Gill she wants to climb her training tower. Out of respect for her “gung-ho” spirit, Gill said she might put a harness on her and let her hold on to it while keeping a protective eye on her. The tower industry, because of its inherent dynamics, has been a beacon to veterans transitioning back into civilian life. 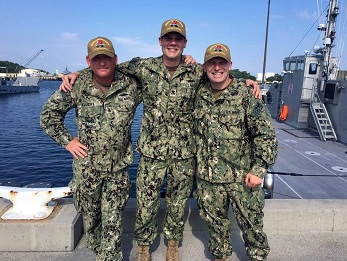 It can do a credible job of matching the military in comradery, physical challenges, teamwork and, yes, even provide an element of danger that is not easily found in the post-military world. Now that the tower industry is facing a growing need for crews, companies specializing in training tower techs have a keen interest in recruiting from the pool of ex-military. Tower Safety & Instruction: Kathy Gill’s Tower Safety & Instruction training focuses on additional tower climbing and equipment rigging techniques, trusting your gear, and the responsibility of being safe. TSI has a Self-Supporting and Monopole Cell Tower located at their Training Facility in Phoenix, AZ. They are available anytime for contractors to practice fall protection, rigging, and any safety concerns for their cell tower worker. 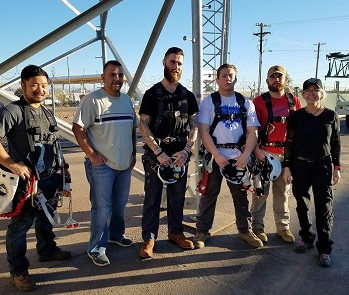 It is an Arizona State Private Post Secondary Board of Education School, and recognized for their Telecommunications Tower Technician Certification of Completion. Accelerated Learning Curve: They come from a background where mission accomplishment is first and foremost and they will seek solutions rather than abandon the job. Leadership: From the lowliest Private to the highest-ranking General, leading others with respect is drilled into a veteran at every level. This can have a big impact on the rest of the team. Diversity and Inclusion: Just like the entire country, veterans represent a broad cross section of the population and they have had to accomplish their mission working with people from all backgrounds. Teamwork: Members of the military are not alone and they know they need to be dependable and depending-on others to accomplish the mission. It’s why you hear so many refer to other vets as brother and sister. Performance Under Pressure: Coming from a background of limited resources and tight schedules, vets perform well and they have had to endure much worse. Communicative: Vets know the importance of clarity in all situations and you can expect them to be direct but also polite when being direct. Conscious of Health & Safety: Vets are taught that they are responsible for the safety of others at all levels. While they do some really cool things, they are always taught to do it in a safe manner. To view Comtrain tower safety and rescue and rigging classes, click here. “NATE wants to use the occasion of Veterans Day to acknowledge the outstanding contributions that men and women with military backgrounds make towards enabling and enhancing wireless,” Executive Director Todd Schlekeway told Inside Towers. "Workers with military backgrounds possess the leadership abilities, work ethic and skill-sets to succeed in our industry and NATE is working closely with organizations such as Warriors4Wireless to continue to help facilitate industry training and job opportunities for returning military personnel," added Schlekeway. 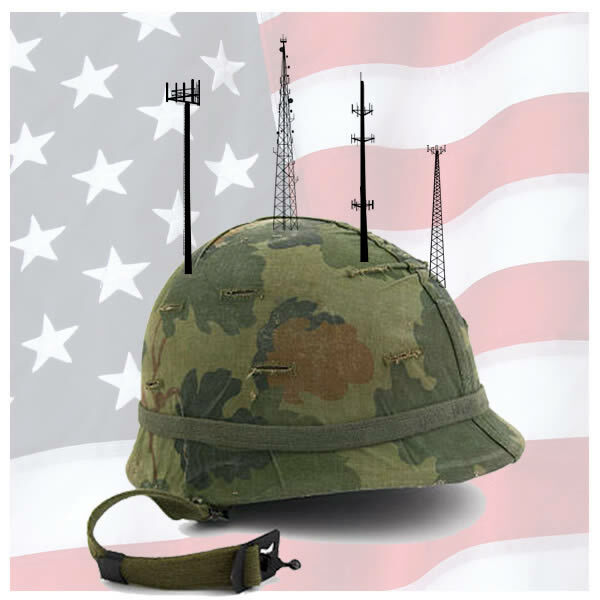 “Our nation’s veterans are ideally suited to serve the wireless infrastructure industry, and they do so on a daily basis,” Jonathan Adelstein, President and CEO of the Wireless Infrastructure Association (WIA) told Inside Towers. Source: Inside Towers newsletter Courtesy of the editor of Inside Towers. Selected portions [sometimes more — sometimes less] of the BloostonLaw Telecom Update and/or the BloostonLaw Private Users Update — newsletters from the Law Offices of Blooston, Mordkofsky, Dickens, Duffy & Prendergast, LLP — are reproduced in this section of The Wireless Messaging News with kind permission from the firm. The firm's contact information is included at the end of this section of the newsletter. On November 2, the FCC issued a Public Notice announcing the completion of the challenge process conducted in August for a list of 13 study areas potentially subject to the 100 percent overlap rule, in which the agency sought comment on whether the competitors in the study area codes (SACs) listed were in fact offering voice and broadband to 100 percent of locations in the relevant census blocks. According to the Public Notice, the comments and reply comments submitted did not provide evidence to confirm that any of the 13 study areas preliminarily identified were in fact 100 percent served by unsubsidized broadband competitors. The FCC indicated that it will conduct another 100 percent overlap process in 2019. BloostonLaw Contacts: Ben Dickens and Gerry Duffy. The FCC on Tuesday issued an Order on Reconsideration of its Wireless Emergency Alert (or “WEA”) rules, affirming its existing schedule for geo-targeting alerts to “best approximate” the target area and affirming that the five largest mobile service providers must provide “clickable” embedded references by November 1, 2017. At the same time, the FCC extended the timeline for small and regional wireless providers to come into compliance with the “clickable” embedded references requirement an additional 18 months until May 1, 2019. The Competitive Carriers Association (CCA) had filed a request to delay the November 1 deadline for basic geo-targeting (known as “best approximates” geo-targeting) citing to the fact that many small carriers are still transitioning their networks from 2G and 3G to 4G technologies. As a result, these carriers are technically unable to comply with the “best approximates” technical standard, which has not yet been finalized in any event. However, the FCC denied CCA’s request because it recognized inherent flexibility in the “best approximates” geo-targeting standard. In other words, while the standards are still in development, Carriers should “employ the techniques they have been deploying as a matter of best practice” and do the best their networks can allow. Under current FCC policies and rules, the geo-targeting requirement allows a Participating CMS Provider to transmit the Alert Message to an area no larger than the propagation area of a single transmission site. The FCC has signaled its intention to adopt even more granular geo-targeting requirements in the future. 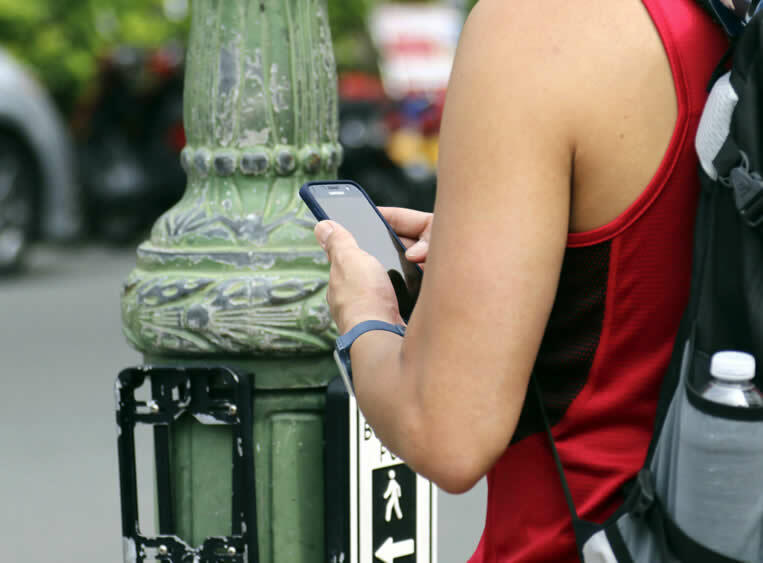 WEA is a public safety system that allows customers with specially equipped devices to receive geographically-targeted, text-like messages alerting them of imminent threats to safety in their area. The technology ensures that emergency alerts will not get stuck in highly congested situations, which can happen with standard mobile voice and texting services. Participation in WEA is currently voluntary for wireless carriers, but many carriers elect to participate because of the perceived public safety benefits. Back in January, T-Mobile and CTIA filed comments raising technical and economic arguments against the FCC’s proposed WEA modernization efforts. A little more than a year ago, the FCC adopted rules to update WEA (which is optional for carriers) and to promote its wider use and effectiveness. Last year’s modifications included increasing the maximum length of WEA messages (from 90 to 360 characters) for 4G LTE and future networks; requiring participating carriers to support inclusion of embedded phone numbers and URLs in all WEA alerts; requiring participating wireless providers to deliver the alerts to more specifically targeted geographic areas; and requiring support for Spanish-language alerts. The FCC invited further public comment on how to include thumbnail-sized photos and symbols in Public Safety Messages, and enabling multimedia and multilingual alert content, including American Sign Language (ASL). T-Mobile and CTIA both urged the FCC to take a more cautious path to modernizing WEA, saying additional time for testing and implementation is needed to ensure a smooth transition and that an industry consensus-based approach was preferable to regulatory mandates. They urged the FCC to defer its deadline for requiring hyperlinks and multimedia content in emergency messages until more testing could be done, to allow further study on the issue of geo-targeting of alerts; not to rely on WEAs for earthquake early warning alerts due to network latency issues; and to delay any consideration of multilingual support for WEAs until after the implementation of Spanish-language alerts. The WEA system was first deployed in April of 2012. While it remains a voluntary service, we suspect in the future that participation may become mandatory for wireless service providers. BloostonLaw Contacts: Cary Mitchell and John Prendergast. On November 6, the FCC issued a Public Notice seeking to update the record regarding performance measures for certain Connect America high-cost universal service support recipients, including price cap carriers, rate-of-return carriers, rural broadband experiment (RBE) support recipients, and Connect America Phase II auction winners. Comments are due December 6. Specifically, the FCC seeks comment on a proposal to require all ETCs subject to fixed broadband performance obligations to use testing parameters for speed similar to those adopted for latency for price cap carriers. This would amount to requiring measurements to be made once hourly during peak periods, 7:00 pm to 11:00 pm daily local time, over four consecutive weeks; require 95 percent of the observations to be at or above the specified minimum speed; define the endpoints for the measurement as the customer premises to FCC-designated IXP locations; require testing to occur at least annually; and require a minimum of 50 randomly selected customer locations to be tested within the geographic area being funded in a given state. First, the group of locations tested should only include locations with an active subscriber, and the number of subscribers/locations included for a particular year’s tests should be the lesser, in each state, of (a) 20 percent of the HUBB input locations or (b) 50 subscribers. Second, ETCs should conduct speed and latency tests between the hours of 6:00 am and 12:00 am local time at the ETC’s choice of time of year. For each subscriber location, an ETC should be required to perform four speed tests each day, once during each of four testing windows: (a) 6:00 am to 10:30 am, (b) 10:30 am to 3:00 pm, (c) 3:00 pm to 7:30 pm, and (d) 7:30 pm to 12:00 am. Finally, ETCs should report and certify their results for each state by selecting one of five levels of compliance for both download and upload speed and latency. Certifying “full” compliance would mean that 95 to 100 percent of all of the ETC’s measurements during the test period meet the required speed, and certifying subsequent “tiers” would mean that the ETC is compliant at decreasing levels below 95 percent of all of an ETC’s measurements. The FCC also seeks comment on whether permitting testing using software installed on the CPE or devices such as a Raspberry Pi would streamline carriers’ testing operations. BloostonLaw Contacts: Ben Dickens, Gerry Duffy, Mary Sisak, and Sal Taillefer. Previously, USAC placed contributions in excess of demand in a reserve account, but the FCC subsequently directed USAC in 2016 to eliminate the separate reserve account and maintain excess funds in the high-cost account. BloostonLaw Contacts: Gerry Duffy and Ben Dickens. On November 2, Sens. Bill Nelson (D., Fla.) and Amy Klobuchar (D., Minn.) introduced legislation to accelerate the deployment of next-generation 911 (NG-911) services. Among other things, the so-called Next-Generation 9-1-1 Act of 2017 would expand a federal NG-911 grant program and establish an advisory board to recommend updates to the definition of NG-911. Specifically, the bill would extend the current NG-911 grant program for five years and authorize appropriations for fiscal years 2018 to 2022. It would also lower the matching requirement to 20% from 40%. Interestingly, funds could not be used for any part of the FirstNet system; however, states would be required to coordinate with FirstNet to ensure that NG-911 services were interoperable. Additionally, a 17-member Advisory Board for Next Generation 9-1-1 Interoperability would be responsible for recommending any updates to the definition of NG-911 that was adopted in the Middle Class Tax Relief and Job Creation Act of 2017. BloostonLaw Contacts: Mary Sisak, John Prendergast. On November 7, the FCC issued a Public Notice announcing that Form 323 filers may register and obtain a Restricted Use FCC Registration Number (RUFRN), a personal identifier that may be reported for individuals with attributable interests in broadcast stations, in preparation for the opening of the December 1 filing window for Forms 323 and 323-E. The filing window for Forms 323 and 323-E closes on March 2, 2018. The purpose of the RUFRN is to allow for sufficient unique identification of individuals listed on broadcast ownership reports without necessitating the disclosure to the FCC of individuals' full Social Security Numbers. Accordingly, the FCC will no longer allow filers to use Special Use FRNs (SUFRNs) on biennial ownership reports, except in limited cases, and instead will require that on such forms filers provide a CORES FRN or RUFRN for any reportable individual attributable interest holder. Carriers seeking assistance in obtaining RUFRNs should contact the firm for more information. This approach may help avoid the need to provide social security numbers of attributable investors in future spectrum auctions, if the FCC adapts the RUFRN approach to auctions. On November 7, Sen. Roger Wicker (R-Miss. ), chairman of the Subcommittee on Communications, Technology, Innovation, and the Internet, convened a hearing titled “Advancing the Internet of Things in Rural America.” The hearing examined the use and benefits of the Internet of Things (IoT) in rural communities, and the infrastructure needs necessary to advance the IoT market to ensure rural America has access to products and devices that are driving the digital economy. Witnesses at the hearing were: Mr. Michael Adcock, Executive Director of the Telehealth Center University of Mississippi Medical Center, Jackson, MS; Mr. David Armitage, Founder and CEO of Cartasite, Denver, CO; Mr. Timothy Hassinger, President and CEO of Lindsay Corporation, Omaha, NE; Ms. Angela Siefer, Director of the National Digital Inclusion Alliance, Columbus, OH; and Mr. Michael Terzich, Chief Administrative Officer of Zebra Technologies, Lincolnshire, IL. Copies of the witness’ written testimony and an archived copy of the webcast for the hearing are available here. BloostonLaw Contacts: Ben Dickens, Mary Sisak, and Sal Taillefer. 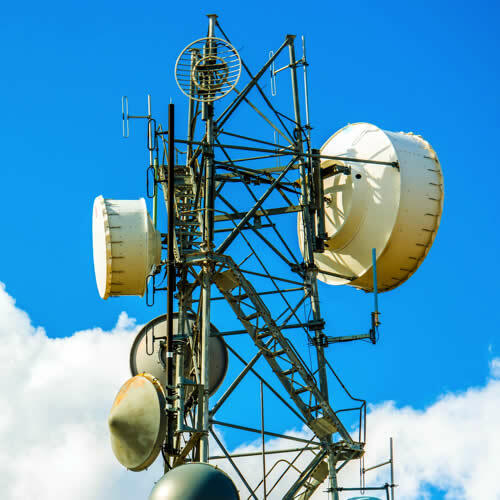 As the search for new spectrum for 5G and other uses grows, it is becoming more important for the telecom industry to work directly with NTIA in many instances. This is especially true since shared use of Federal Government spectrum is one of the most promising sources of additional bandwidth. To incorporate feedback to improve future communications. LNPA Transition-related links and documents, including content from the previous TOEP webcasts, may also be accessed via the Reference Document tab on napmllc.org. JANUARY 16: HAC REPORTING DEADLINE. The next Hearing Aid Compatible (HAC) reporting deadline for digital commercial mobile radio service (CMRS) providers (including carriers that provide service using AWS-1 spectrum and resellers of cellular, broadband PCS and/or AWS services) is January 16, 2018. Non-Tier I service providers must offer to consumers at least 50 percent of the handset models per air interface, or a minimum of ten handset models per air interface, that meet or exceed the M3 rating, and at least one-third of the handset models per air interface, or a minimum of ten handset models per air interface, that meet or exceed the T3 rating. Month-to-month handset offering information provided in annual reports must be current through the end of 2017. With many of our clients adjusting their handset offerings and making new devices available to customers throughout the year, it is very easy for even the most diligent carriers to stumble unknowingly into a non-compliance situation, resulting in fines starting at $15,000 for each HAC-enabled handset they are deficient. Following the T-Mobile USA Notice of Apparent Liability (FCC 12-39), the FCC’s enforcement policy calls for multiplying the $15,000 per-handset fine by the number of months of the deficiency, creating the potential for very steep fines. It is therefore crucial that our clients pay close attention to their HAC regulatory compliance, and monthly checks are strongly recommended. In this regard, we have prepared a HAC reporting template to assist our clients in keeping track of their HAC handset offerings, and other regulatory compliance efforts. ALL SERVICE PROVIDERS SUBJECT TO THE FCC’S HAC RULES – INCLUDING COMPANIES THAT QUALIFY FOR THE DE MINIMIS EXCEPTION – MUST PARTICIPATE IN ANNUAL HAC REPORTING. 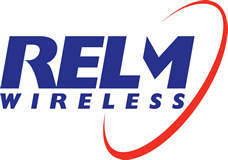 To the extent that your company is a provider of broadband PCS, cellular and/or interconnected SMR services, if you are a CMRS reseller and/or if you have plans to provide CMRS using newly licensed (or partitioned) AWS or 700 MHz spectrum, you and your company will need to be familiar with the FCC’s revised rules. BloostonLaw contacts: John Prendergast, Cary Mitchell, and Sal Taillefer. Nov. 9 – Reply comments are due on the Competition in Video Programming Report. Nov. 13 – Extended deadline for EAS test participants in Hurricane areas to file ETRS Form Two. Nov. 13 – Deadline for EAS test participants to file ETRS Form Three. Nov. 13 – Reply comments are due on Intercarrier Compensation Reform Public Notice. Nov. 13 – Reply comments are due on Streamlining Complaint Processes NPRM. Nov. 13 – Reply comments are due on UI accessibility compliance deadline. Nov. 13 – Comments are due on the Maintenance of Copies of FCC Rules proceeding. Nov. 13 – Comments are due on Revisions to Reporting Requirements for HAC Mobile Handsets. Nov. 13 – Comments are due on Toll Free Assignment Modernization proceeding. Nov. 24 – Deadline for petitions to suspend or reject 15-day price cap access charge tariff revisions. Nov. 27 – Reply comments are due on the Maintenance of Copies of FCC Rules proceeding. Nov. 27 – Reply comments are due on Revisions to Reporting Requirements for HAC Mobile Handsets. Nov. 29 – Deadline for petitions to suspend or reject 7-day price cap access charge tariff revisions. Dec. 1 – Biennial Ownership Report filing window opens (Form 323 and 323-E). Dec. 1 – Comments are due on international circuit bearer fees and MDU calculation. Dec. 12 – Comments are due on Toll Free Assignment Modernization proceeding. Dec. 18 – Reply comments are due on international circuit bearer fees and MDU calculation. Dec. 31 – Carriers receiving CAF Phase II funding must complete deployment to at least 40 percent of supported locations in each state (the interim build-out milestone). Jan. 16 – Annual Hearing Aid Compatibility Report is due. Jan. 31 – FCC Form 555 (Annual Lifeline ETC Certification Form) is due. 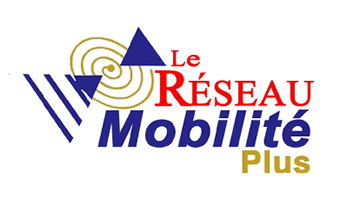 Jan. 4 – Deadline to submit 4G Data Collection data. This newsletter is not intended to provide legal advice. Those interested in more information should contact the firm. Brad Dye, Ron Mercer, Allan Angus, Vic Jackson, and Ira Wiesenfeld are friends and colleagues who work both together and independently, on wireline and wireless communications projects. Click here for a summary of their qualifications and experience. Each one has unique abilities. We would be happy to help you with a project, and maybe save you some time and money. Note: We do not like Patent Trolls, i.e. “a person or company who enforces patent rights against accused infringers in an attempt to collect licensing fees, but does not manufacture products or supply services based upon the patents in question.” We have helped some prominent law firms defend their clients against this annoyance, and would be happy to do some more of this same kind of work. Some people use the title “consultant” when they don't have a real job. We actually do consulting work, and help others based on our many years of experience. Farah Hancock is in her final year of Wintec's journalism programme. At 4:20am on October 13 a deaf Whangarei woman’s kitchen was engulfed in flames while she and her great-granddaughter slept. Thanks to the strobe light on her visible smoke alarm, the woman was woken and escaped the house safely with the 4-year-old child. Without specialist alarms, many of the estimated 880,350 deaf or hearing-impaired people in New Zealand have to rely on seeing or smelling smoke to alert them to a fire. Smoke alarms for hearing-impaired people range from visible alarms which have strobe lights, to options which vibrate beds or pillows, to pager-based systems. There are also alarms available which operate at a high or low frequency for those who have the ability to hear certain frequencies. Residential homes, public buildings and private buildings all present different challenges in ensuring deaf or hearing-impaired people are alerted to fire. Fire and Emergency’s Takapuna Senior Station Officer Quin Webster has been on a 12-year journey trying to improve fire safety for deaf and hearing-impaired people. Webster’s maternal grandparents were deaf. In 2005, he visited the Auckland Deaf Society to see if members had questions about fire safety. “They didn’t really know about the fire service and what we did and how we can assist. They didn’t even know who to go to, to ask questions. Specialist alerting devices can cost hundreds of dollars. Funding from the MoH is available but Webster said when he first got involved the funding often only covered the installation of one alarm for an entire house, or no funding was available if there was somebody with hearing living in the house. “At the time, they didn’t get funding for alerting devices because if they had a five-year-old child who could hear, the argument was that the five-year-old child could tell you the fire alarm is going off. He worked with hearing therapists from Life Unlimited, a health and disability charitable trust, to set up hearing-assistive technology teams. The teams consist of a hearing therapist and a fire and emergency service staff member who visit homes of deaf or hearing-impaired people who have met criteria for funding. They assess the type and number of specialist alarms required. Their report then goes to MoH for funding approval and once approved, fire and emergency service staff can install them. While stand-alone residential buildings are easy to make safe, apartment buildings present a different challenge. Wester said he once worked with a hearing-impaired apartment-dweller who could not hear the building alarm. In the case of a fire outside of their apartment, they would not be alerted until their own visual alarm sensed smoke within their apartment. Currently the building code does not require building alarms to have measures specifically aimed at assisting those with hearing loss. Developers could choose to include them, but it's not mandatory. For public buildings, however, a change to the building code to require visual alarms looks hopeful. In 2016 a deaf student was left behind in a fire drill in an Auckland University building. Dean Buckley was eventually found by a warden and was the last to leave the building. After his experience a petition created by deaf and hard-of-hearing advocacy group, Deaf Action, called for visual fire alarms to be part of all public buildings. A Government Administration Select Committee report on the petition recommends the building code be amended to include visual alarms as a mandatory part of public buildings. Deaf Action’s chairperson, Kim Robinson, said he expects the response to be tabled in Parliament when it resumes. For residential homes, he said the funding model could be redeveloped to speed up the process - which he said takes anywhere from a few days to a few months. Robinson said the long wait for alerting devices is the most common complaint Deaf Action receives. Webster says he is aware the process to receive funding can take time. Fire and emergency staff take measures to help prevent fires during the waiting period. “If they haven’t got a smoke alarm we will put one in. If we can, we’ll talk to the neighbours. MoH were contacted for comment and said they were unaware of any funding they supply for smoke alarms for deaf or hearing-impaired people. To find more information on specialist alerting devices go here. If you do not require funding, or do not meet the funding criteria the fire and emergency service can visit your home to give advice on what type of fire alerting devices are best suited to your specific needs. This service is free of charge. Recently noticed an article in Forbes describing the introduction of cellular technology was attributed to D.H. Ring at Bell Labs in 1947, and thought it would be nice to review this history. I have always thought the natural development of mobile technology in the U.S. was severely restricted by the unwillingness of the FCC to address the needs of the nation for over three decades. Between the late 40's and mid-80's, only a couple of dozen VHF and UHF frequencies were allotted to serve the mobile phone needs of the U.S. Meanwhile Europe and Japan were much more progressive, which explains the proliferation of advanced mobile telephone manufacturers in those regions. Brad, Thank you for publishing my "Want To Buy" for a Midland 71-3050 "A". I included my e-mail address and almost immediately received a response from a SCAMMER. This person offered me the used radio for which I was looking at a ridiculously low price, delivered to my address. Now that PayPal is investigating, I am out $250, which was sent to the PayPal e-mail address given me. I have learned an expensive lesson, Never share your e-mail address on the internet. I should have listed my post office box and phone, nothing more. Immediately after I sent the money, the e-mail address of the Scammer was deleted. PayPal showed the actual PayPal account to which the money was sent and I have contacted the ham radio whose name and call letters was used in executing to scam and he informed me that he had no radio equipment to sell and his station had been off the air for many years. He, like me, was outraged that this scam had occurred. I am still looking for a Midland 71-3050 "A". If any of your readers has information on one for sale, have them contact me at PO Box 1641, Pottsboro, Texas, 75076-1641, or call (903) 786-2288. Thanks for your help in this matter. I trust that PayPal will eventually identify the culprit and get my money returned. It dawned on me a few weeks ago, that I had a student who had worked for Motorola in Schaumburg and answered directly to the CEO, at one time. What I didn't know was that his father was also a Motorola man from way back. I don't know if either of these will help, but maybe. It is a shame when a company, like Google, has so much money that they can just buy a company like Motorola and put so many peoples' livelihoods at risk. They probably don't even think of paging as a viable communication path. They live in their own tech-bubble. The Motorola Nucleus II Paging Base Station is a great paging transmitter. The Nucleus I, however, had some problems. One of the best features of this product was its modular construction. Most of the Nucleus' component parts were in plug-in modules that were field replaceable making maintenance much easier. Motorola used some tricks to keep people in the field from trying to match unmatched pairs, and force them to send SCM and Exciter modules back to the factory for calibrating them with precision laboratory equipment. The serial numbers have to match in the Nucleus programing software or you can't transmit [in simulcast mode] . Specifically the 4-level alignment ID parameter contained in the SCM has to match the Exciter ID parameter. Even if someone could modify the programing software to “fudge” these parameters, that would not let them use unmatched modules effectively without recalibrating them to exact factory specifications. So now that there is no longer a Motorola factory laboratory to send them to, what do we do? I hope someone can help us resolve this serious problem for users of the Nucleus paging transmitter. Current member or former member of these organizations. We invite you to join us as we travel to Haiti for a Live Outside performance of the song “Haiti Oh,” featuring Haitian musician Jean-Francois Gay. Let this music lift you up and show that no matter how many reasons life gives you to cry, there are a thousand more reasons to smile. Playing For Change is a movement created to inspire and connect the world through music, born from the shared belief that music has the power to break down boundaries and overcome distances between people. Our primary focus is to record and film musicians performing in their natural environments and combine their talents and cultural power in innovative videos we call Songs Around The World. Creating these videos motivated us to form the Playing For Change Band—a tangible, traveling representation of our mission, featuring musicians met along our journey, and establish the Playing For Change Foundation—a separate 501(c)(3) nonprofit organization dedicated to building music and art schools for children around the world. Through these efforts, we aim to create hope and inspiration for the future of our planet.